When natural disasters, like hurricanes, happen it can reduce access to healthcare, medication and much needed support. Unfortunately, when we live in Florida or other states affected by annual disaster seasons, this can make managing your chronic illness very difficult, induce flares or promote disease progression. The downsides to this include increased stress and anxiety which can increase symptoms that can be hard to get back under control once the disaster has happened. These events can also lead to anxiety and stress related to anticipating any future disasters. Perhaps for you, It’s been difficult to get friends and family on board to do disaster prep, or they don’t take it seriously, which can lead to feeling helpless or like the people around you don’t understand how natural disasters affect people with chronic illness differently. In a disaster, you could end up without power, without medication refills or even evacuating to a completely different location where you are unsure of the medical resources available or unavailable to you there. The truth is, this is a completely valid concern and a lot of people struggle to know how to prepare in advance for unpredictable situations. It’s OK to want to feel prepared so your disease management is not interrupted. It’s true that natural disasters can have detrimental effects on people living with chronic illness. However, if we can learn to communicate our needs, coordinate alternative healthcare and treatment options and have backups set aside for the worst case scenario, we can make it through natural disasters while also managing our illnesses effectively. When we have a plan it is entirely possible to ‘weather’ ANY storm with ease. Keep reading to learn how to start planning for natural disasters with your chronic illness in mind. What Could Happen If I Don’t Prepare For A Natural Disaster Appropriately? The biggest downside of not preparing for a natural disaster appropriately is interruption in healthcare or access to care leading to your disease getting worse or lack of critical treatments. At the very least, you find yourself with exacerbated symptoms due to the stress of it all. Living this way is extremely frustrating and can create a roller coaster of not only physical symptoms, but the emotions of dealing with an interruption in your disease management. Hurricanes and natural disasters in our recent history have highlighted the importance of preparedness for people with chronic conditions. It is important to know that research has shown through ‘A study of Hurricane Katrina showed that the evacuees with chronic diseases who required medications were nearly twice as likely to present with acute symptoms on arrival to shelters; of those evacuees, individuals with comorbidities were also three times more likely to be acutely ill on arrival than those with no other conditions. What will preparation and planning during a natural disaster do for me? Although you struggle with stress and anxiety you have the potential to problem solve and find great solutions for any problem that comes up. When you choose to implement disaster planning effectively, you can approach disaster seasons or even unexpected disasters with less stress and anxiety and maintain your chronic illness management strategies that help you function and live your life to the fullest. Yes, its true you may be feeling stressed but having a plan can reduce overall stress, reducing the chances that symptoms will be triggered during a disaster. The key to achieving preparedness is to identify stakeholders and supports, communicate expectations & ask questions, prepare any supplies needed in advance and designating possible locations to evacuate to that have the resources you need. Making these changes is not as difficult as you think because you will seek out the help of friends, family and medical professionals. When you follow a simple checklist, you will start to see that it isn’t as difficult as you anticipate and you will feel relieved to have a plan of action in advance. Take a look at the checklist I have created to teach clients How To Prepare For A Disaster When You Have A Chronic Illness. Talk with healthcare provider about what to do and how to communicate with them during a disaster situation. Be sure to ask for names of agencies or health care centers to report to if condition needs assessment or treatment. Prepare a waterproof and insulated emergency kit with any items you may need specific to your condition. Include additional supply of medications for 1-2 weeks after a disaster to ensure continuity of treatment. Also include medical records and have an electronic copy. Obtain self management skills and stress management. This could include incorporating stress reduction activities into your preparedness kit and limiting exposure to images or news relating to the disaster as well as access to a therapist or crisis support line when needed. Have a plan to evacuate early and avoid any cleanup or disaster areas if you are on intravenous treatment or immune suppressants. Have enough food and water on hand to stay hydrated and get major nutrients. IF any food allergies or sensitivities are relevant, have a plan for access to appropriate foods or a backup evacuation plan including relevant lists and allergies/ sensitivities relevant to your condition. Preparing for a disaster event or hurricane can be stressful, overwhelming and scary, but it doesn’t have to be. You can prepare and plan ahead which helps you problem solve any issues you may not consider when your time and options are limited. 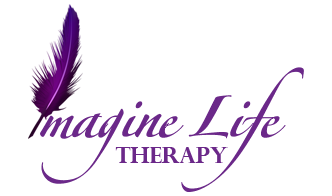 Here at Imagine Life Therapy, I help clients work through all the fears, worries and stresses related to disaster preparedness so they can worry less and feel prepared for just about anything that comes their way.